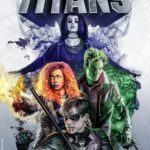 WATCH: Does this awesome new Titans teaser hint at a cinematic connection? Is Peter Jackson leaving The Shire and heading to the DC Cinematic Universe? One Green Lantern Ring to rule them all? Director jumping from Warner’s Nightwing to Paramount’s Dungeons & Dragons? Green Lantern, The Batman, Suicide Squad 2, Cyborg… so much to look forward to. Probably. RUMOUR: Is FTN favourite Jeff Bridges set to play Darkseid in the DC Cinematic Universe? For once this a rumour we really want to be true! Is John Cleese set for the DC Cinematic Universe? The Arrow is staying in its quiver. For now. A lighter touch for the DCU? The DC live stream is here!